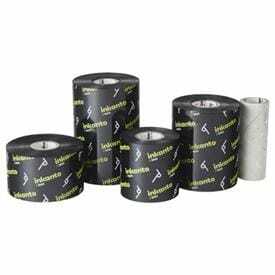 inkanto - The label printer thermal transfer ribbon brand from the printing and coating specialist ARMOR were available for a long time without their own branding, and in neutral packaging. Effective immediately, they will now be produced under the name inkanto – with a brand image that immediately gets noticed! The new thermal transfer ribbons surprise with a colourful design, which significantly sets it apart from the neutral image of the old rolls: yellow, blue and red writing – that's how users will recognize inkanto. Even the packaging is decorated with the image of the brand, to prevent mix-ups. Nothing changes in the production process, so the new brand ribbons therefore convince with the same high quality at a low price that users of ARMOR products are already accustomed to.